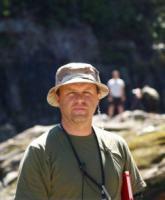 Jared Connon is the supervising location manager for The Hobbit, and worked on The Lord Of The Rings. The eagle-eyed film locations expert has worked in the film industry since he was 19, knows New Zealand like the back of his hand and is considered one of the best in the business. Connon has seen more remote parts of New Zealand than most fellow kiwis. He’s also very dedicated to the Māori ethos of kaitiakitanga — treading lightly on the land, treating it with respect and leaving it unspoiled for future generations. In this feature, Connon speaks about location scouting, the logistical challenge of organising filming permissions and what makes a good location scout.